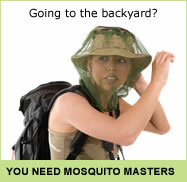 Flying Pest Control Misting Systems - Mosquito Masters Inc.
Mosquito Masters, Inc., a leader in the Insect Control Misting Systems industry located in South Florida. We have over 35 years of experience installing eco-friendly, convenient and effective insect control systems throughout the United States and the Caribbean. One of our representatives will meet with you to design a custom system that will guarantee your satisfaction. Our insect misting system is specially designed to automatically deliver a fine mist of an eco-friendly insecticide formulation based on the anticipated needs of your environment. Please watch the following video to learn more about how our system works. No Testimonials - Be the first one!